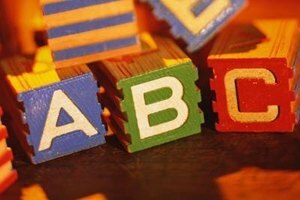 Kindergarten is a time for exploring letters, words and sounds..
Kindergarten students will learn several basic literacy skills during their first year, which typically build upon those skills acquired at home or in the preschool setting. 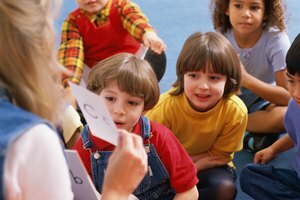 Prior to kindergarten, most children should be able to recognize some letters, sounds, and words. They should also be able to recognize their own name. 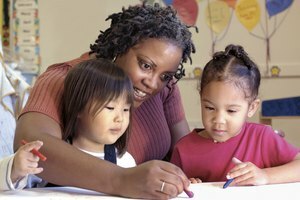 These basic skills will help students learn the beginning concepts of reading and writing in kindergarten. 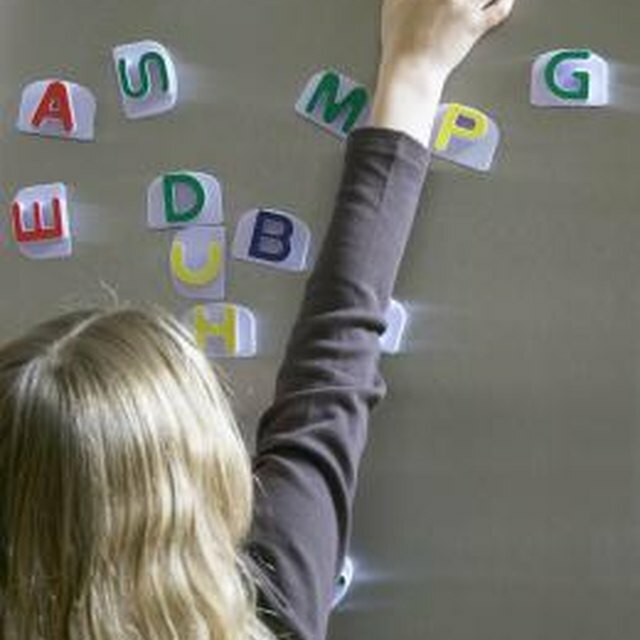 Beginning literacy skills in kindergarten usually revolve around letter-recognition fluency. 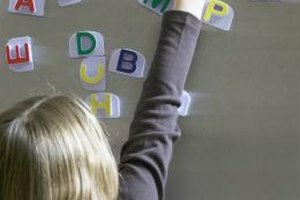 Lessons reinforce students’ knowledge of the alphabet and then work on expanding students’ recognition of both lowercase and uppercase letters. Students usually then learn to match up letters to their sound and begin forming different sounds by putting two letters together. Most kindergarten programs involve trips to the library to get students excited about books. After students are comfortable with letter recognition, they will begin reading, recognizing, and sounding out simple words. Students match up consonant sounds with sound patterns and begin to figure out simple words like "cat." They also work on recognizing common words like "stop." Students will learn the concept of reading left to right and begin writing out numbers. 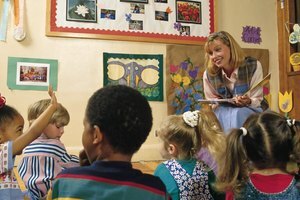 Kindergarten students usually enjoy word finding games and connecting words to pictures, which enhance their understanding of reading text. Kindergarten students will work on handwriting often. In kindergarten, children learn to spell and write their first names. Often children of this age prefer to write in capital letters, so students will practice writing all of the letters in both upper and lower case, and learning when each is appropriate. Most of the writing done in kindergarten is simply to master the skill of grasping a pencil and making legible letters. However, they will begin writing words based on sound and copying words written by the teacher. Kindergartners can sometimes figure out a sentence based on a few sight words and illustrations. Aside from beginning to sound out words, kindergartners work on sight words. Sight words are common words that may be more difficult to sound out, but that students will have constant contact with as they begin to read. Here are some examples of sight words learned in kindergarten: is, as, a, the, am, said, me and my. Once learned, sight words are combined with other simple words to create sentences. 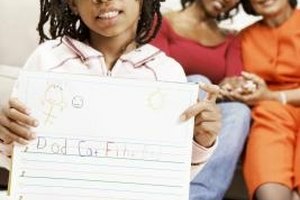 Family Education: Kindergarten - What Will They Learn? Cooper, Michele. "Basic Literacy Skills Learned in Kindergarten." Synonym, https://classroom.synonym.com/basic-literary-skills-learned-kindergarten-3538.html. 26 September 2017.